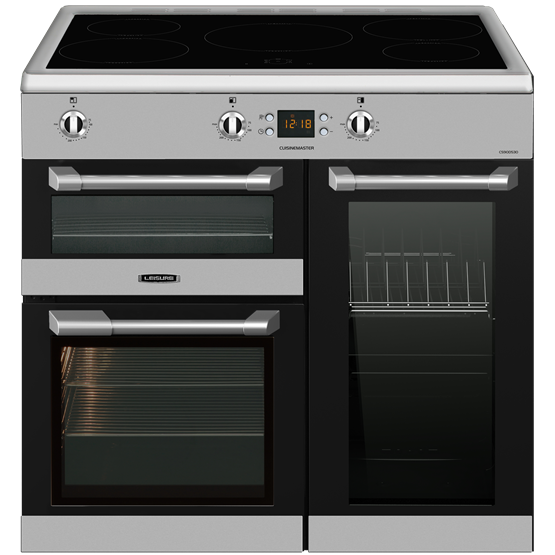 Perfect for the 21st century home-cook, this Cuisinemaster model combines fast and efficient cooking with a stylish, contemporary design, making it a striking centre-piece for any kitchen. 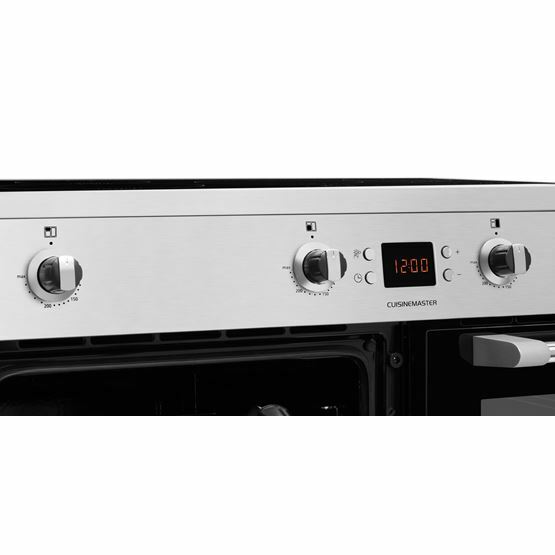 The five-zone touch control induction hob provides fast, safe and energy efficient cooking, and its Cook Clean liners can make light work of cleaning the main ovens. By catching dirt and grease from inside of the cavities, the specially coated liners remove the need for you to scrub the oven walls. 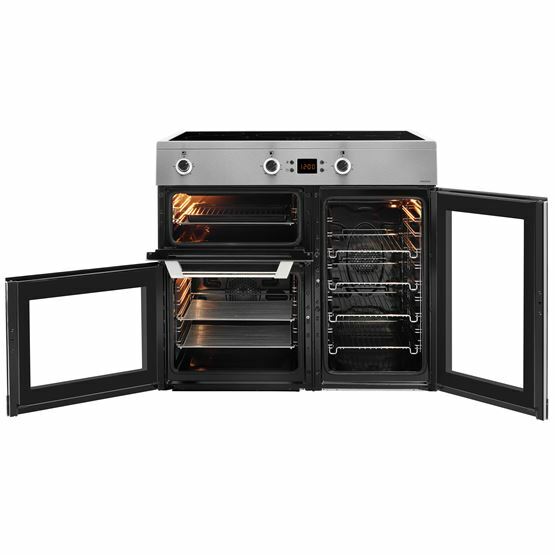 Good Points: The style, large oven capacity and safety. 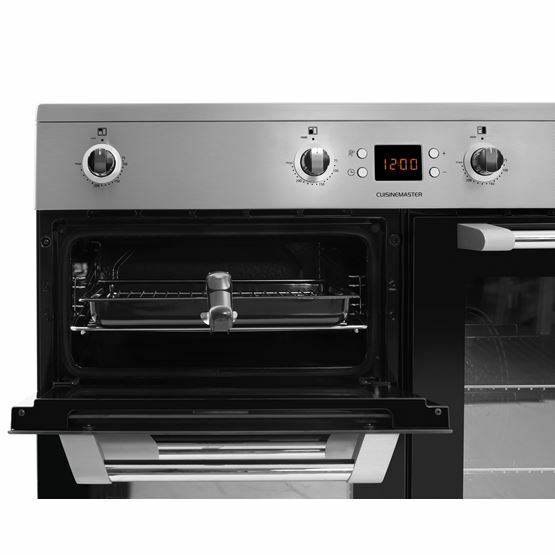 Bad Points: Timer turns off the oven but not the hob. 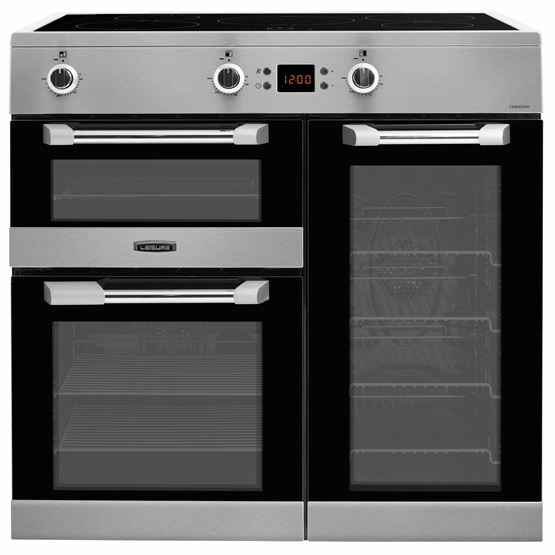 Bad Points: were do you want me to start the main oven takes a long time to heat up for a fan oven, food takes longer to cook and it got to be high temperature,now I know why its only A rated.This has to be the worse cooker I have ever had how this cooker got the Good Housekeeping Institute approve 2018 beat me,it has taken me 3 weeks to get use to using the induction hod.If I had the money I would get read of. 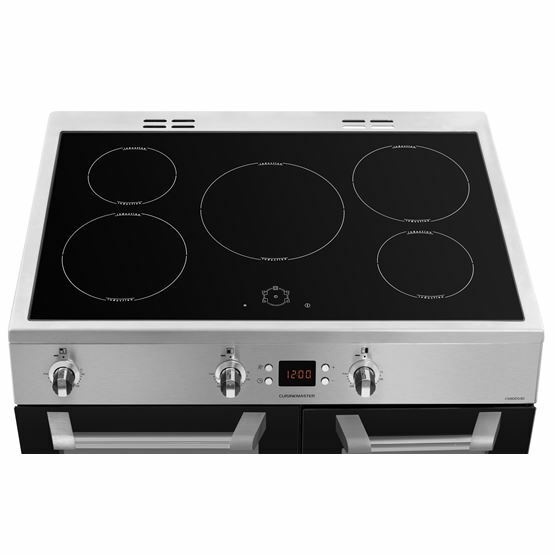 Good Points: Induction hob easy to use and works very well. Good Points: Easy to clean. Cooks nice and evenly. Good Points: Love the induction, very responsive. 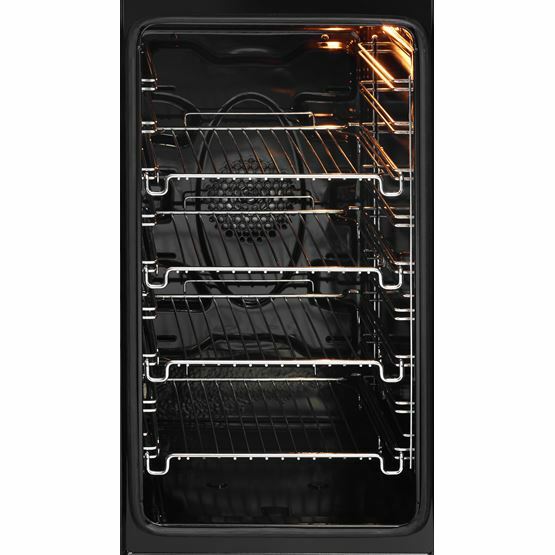 Bad Points: Ovens very narrow, so need to buy small pans and trays. Wouldn't want to try and cook a big turkey in it! Induction panel can be temperamental at times.